Nuclear Transparency Watch (NTW) has reviewed the draft “Nuclear and Radiological Emergency Plan for the Belgian Territory”, which was presented on 10 January 2017 to the subcommittee on Nuclear Safety of the Belgian Federal Parliament. 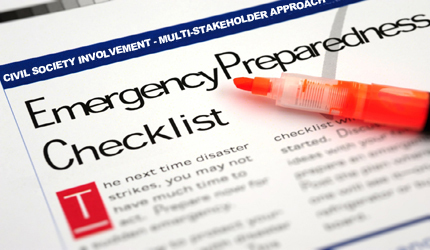 NTW has written a position paper on the new plan for emergency preparedness and response (EP&R) to nuclear accidents. NTW’s main observation is the lack of public participation and consultation during the development of the plan. In addition, response measures are not scaled to face a severe nuclear accident. NTW notes some positive evolutions such as a commitment to prepare the post-accidental phase that follows emergency, but regrets the lack of public participation in the elaboration of the new EP&R plan.The effectiveness of a nuclear emergency plan in case of a radiological crisis depends on its credibility with the public and the support of civil society. The credibility and support of the public can only be assured if all concerned citizens have been involved in advance, in a wide consultation process and in large-scale emergency exercises. This plan has a lack of consistency. In theory, the plan claims to be an answer to a radiological contamination covering the entire territory of the country. But the emergency planning zone for evacuation is limited to only 10 km and the pre-distribution of iodine tablets is limited to 20 km (just like in the old plan). By not extending the zone for evacuation to 20 km (as proposed by the Belgian Superior Health Council) make the EP&R plan avoiding the preparation of the evacuation of the city of Antwerp with about half a million inhabitants, which would be expensive and complex. The plan does not take into account the high density of population around its nuclear power plants, up to 10 times higher than around the Fukushima 1 reactor site. In addition of the 7 Belgian reactors, the 13 commercial reactors near to the Belgian borders (6 in Gravelines, 2 in Chooz, 4 in Cattenom and 1 in Borssele) are not sufficiently addressed. NTW has written a position paper on the Belgian EP&R draft plan. According to Dr Nadja Zeleznik, Chair of Nuclear Transparency Watch: “The main recommendation of NTW is that, before the new EP&R plan is finalised, a broad consultation process is set up with the most important stakeholder: civil society. NTW observes many deficiencies and weaknesses. NTW agrees with the recommendations of the Belgian Superior Health Council and recommends that its advice would form the basis of the new EP&R plan”.